I hope you're all enjoying the newly revived forums, everyone! It has been long overdue that HHP were restored to the days of old. As one of the most popular Hamtaro websites on the Internet, and as a hub for many of the hardest-to-find episodes, HHP has always served as a testament to the history of Hamtaro. Now that the forum is restored, and members old and new regroup, it's time to introduce yourselves. Even if you already know almost everyone here, it's been a few years, and people change! Please fill out this template and introduce yourself to everyone here. 2. What got you into Hamtaro originally? How did you find out about HHP? 3. Are you apart of any other online communities? Tell us about them! 8. Tell us one interesting fact about yourself. Please enjoy yourselves, and make sure to read the Forum Rules thread! My full internet identity is Creator-Kami, but I go by Kami for short~ I'm an 18-year-old girl from the United States. I am hopeless furry trash, which is made apparent by my deviantART account. I am an artist and journalist, and recreated the forum for the use of Hamtaro fans young and old. My favorite kind of music is alternative and Vocaloid. My favorite groups are Thousand Foot Krutch, Skillet, and Marina and the Diamonds, and the Vocaloid producer, Jin. I have a few that qualify as "favorites". Phantom of the Opera, Spirited Away, and Frozen are at the very top of the list. "Aww, the poor little Hero! Frail and weak! Just like the ones that believe in you… but do they really believe? They are too busy looking out for themselves. Risking everything for fame and glory… hoarding resources, and writing rules to support the structure, instead of the life it was meant to protect. Now, blinded by the beauty of creation, they have lost connection to the world that we create! The perfect storm is at hand, and with this scepter I will end your reign of tyranny once and for all." The name is Blckflyn(BlackFelyne). I am a 22 year old young man from the good ol' sunshine state of Florida. It's boring as heck here. The name basically tells one little fact about myself: I am a member of the Furry Fandom, favoring a black cat. I'm a gamer, owning a whole myriad of systems to game on, and I'm somewhat of an amateur artist. Hamtaro was a TV show I discovered in my younger years that I grew really fond of because my family actually owned a lot of hamsters. I loved them, and I loved the show, and always did my best to try and catch it when I woke up in the morning, or got out of school. I discovered HHP mainly through google searching, and in fact I was frequent here when things were more lively, under the name DNR (Which some still know me by.) It helped me to relive some of my younger years because lets face it, I am 22 and I STILL love Hamtaro. I still frequent DeviantArt, and sometimes Tumblr, but I'm not really on too many sites. On dA I draw mostly what comes to mind, but hamster and pokemon would make up the bulk of it. I USED to have another DA...but other issues led me to close it. Anything that I find relatively catchy, or things I can picture images to in my head. It's very VARIED, so I can't just stick one genre into the spot. "That works out just fine" - Me. Don't ask. Not a lot of quotes really inspire me. I am extremely into the art of swordplay. Fencing, kenjustsu, and other many varieties of martial arts. In high school I was a part of my school's fencing club, which led me also to become a sword collector. I was around 8-9 when Hamtaro was dubbed in the Philippines... And my mornings were never complete without it, in fact I nearly got absent because I wanted to watched the series so badly. XD And as for the HHP part, I was busy looking for some fan websites (with HHF being the first, followed by the deceased HHK) before I wound up here. Electronica, classical, dubstep, heavy metal? Whatever fits the mood and situation. Well, in terms of genre, animation always wins. "Oh, you'll never see the best of me!" I'm Mimitchi, though these days I go by laufiend (lack of capitalization is a stylistic choice lol). I'm 20 years old, female, from Vancouver, Canada. 2nd year student at the University of British Columbia. Currently in the faculty of arts, and was going for a degree in film studies.. but then I took an astronomy course that completely changed my life. I'm now determined to make up for my mistakes in high school (aka not taking pre-calculus and physics).. because I want to become an astronomer. It'll be a longass road, but this is the most passionate I've felt about anything since I abandoned my piano ambitions. Asides being a space geek, I love music and photography. I used to draw a lot when I was younger, as well as make random webdesigns.. I rarely webdesign anymore, and I expect my skills are now pretty outdated.. (who even uses tables anymore lmfao). I'm no longer a die-hard fan of Hamtaro, though considering I made this damn site, I definitely still have my knowledge of it! I am very active on tumblr, where I mostly reblog funny stuff. I also have a deviantart account, where you can find my photography and old anime fanart.. though it rarely gets updated. I saw an orange hamster and I was like "wow he is reallynotspecial"
My Name is Adriel c: I'm often known as "Klonoa13" on most sites I go to. I'm a male, 20 years old, and I live in Houston, Texas. My Hobbies are Video Games (Both Retro and Modern) Anime, and Drawing, though I am not a fantastic artist compare to everyone else on here. I once caught glimpse of Hamtaro when the English Dub premiered on Toonami before it was moved to Cartoon Network's Regular Line-Up. I've have had quite the fond memories watching the anime as a little kid. cX Over the years ever since the dub was cancelled and removed from Cartoon Network, I had somewhat forgotten about the Anime until around 2007 or 2008 when I started using the internet and finding various fan-sites dedicated to the Franchise. I discovered HHP When it was just a Basic Hamtaro Fan-Site while Ham-Ham Kingdom was the Number #1 fan-site for Hamtaro before it's eventual shut down. Since then, I had followed HHP when it become a much bigger site and eventually becoming one of the biggest hamtaro fan-site ever made with so many media content and everything related to the franchise included compare to what other fan-sites had at the time. 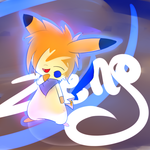 I'm on alot of sites, but I mainly hang out on DeviantArt, Facebook, Tumblr, and Youtube. Often I listen to OST's from Video Games, but in terms of genre, I'm pretty much a fan of most of them cX it depends on the music itself. I don't really have a favorite list of movies, but I suppose if I had to choose one, it would be either the Sonic OVA Movie, or The Lego Movie. There's not really much I can say about myself, but I suppose I can bring out the fact that I wasn't originally someone that was into drawing much until a few friends encouraged me to try drawing, which led me to finally actually start drawing rather than resorting to using bases and whatnot like I used to back in my early years. Hey, everyone! I'm Spacey, a 21-year-old female. I draw a lot and play a lot of video games. That's about all I have time for when it comes to hobbies, and I sleep very little! I draw a lot of comics now because I love creating characters and stories. My actual future career path, however, lies in the realm of psychology. I didn't have cable as a kid, but I did have the VHS for the first episode and the three-episode VHS with Sandy x Maxwell, Stan joining the club, and Laura's grandmother finding her old bestie. (This is why I ship Sandy and Maxwell, by the way!) After that, the only things maintaining my interest in Hamtaro were the video games: Unite, Heartbreak and Games. They are all fantastic. I faded out of drawing Hamtaro for a while, but eventually I started drawing Hamtaro characters on my dA. This is how I found the Hamtaro fandom and found the HHP group. Their website wasn't working for me back then. So I just joined the forums after they said it was revived! I'm quiet on a lot of them, but yes... deviantART, Tumblr, SmackJeeves, and recently Twitter. I will listen to and enjoy most music. However, my biggest favorites have gotta be rock, metal and cinematic/epic. Big Fish. I don't watch many movies, however. Uhhh........ I'm anemic??? Also I have a ton of Hamtaro fan-characters and a season of "episodes" (summaries) I wrote for fun. "Oh, look at these silly ribbons of mine." "They're perfect. All they needed was a little mud to give them character." hi guys! i'm vivian, i'm 15 years old and a female, from the united states. (actually, klonoa13, i'm also from houston! ayee h-town buddies haha) i really like sleeping, but whenever i'm feeling extra productive, i like to draw, read, and volunteer. i remember i got the ham ham rainbow rescue game as a child, and i not only enjoyed the game to bits, but i also found the characters ridiculously cute, but i didn't actually look up who the characters were / where they came from until recently. but once i did, i more or less got sucked into the show, and i've loved it since. i found hhp while looking for some information about the bijou / hamtaro pairing heh. um i like to think i'm pretty open with different genres of music, but i tend to enjoy pop, rock, alternative, indie, folk, and r&b. umm maybe like toy story? a classic, really. i really like white, as well as blue. umm i was born left-handed, but my kindergarten classroom lacked practice workbooks that taught how to write left-handed (because the american education system is just that great), so i was more or less forced to learn how to write right-handed as a child because of huge budget cuts. I'm finally doing this thing aha. I watched it on Cartoon Network after school when I was a lil squirt. Then it disappeared and I was a sad kid. So then several years later my mom got my sister 'Ham Ham Heartbreak' and I stole it. I played it to death and it made me wanna find that show and watch it again. Little did I know what that would start for me, aha. I hunted the entire internet for Hamtaro sites, until I found HHP that really suited my needs. Then I just kinda stuck around until the fandom faded away. 3. Are you a part of any other online communities? Tell us about them! I have a Tumblr too but I'm not very active on it, so I'm not gonna give it out. Everything except gangster rap. Uhggg I hate gangstah rap. I'm very partial towards celtic music though. God that stuff is relaxing. Lego Movie uhhgg that movie hits me right in the feels. The How To Train Your Dragon movies are also really awesome.. ;v; Oh and I have a guilty pleasure for horrendous movies like Sharknado. "I was wondering if I could come with you on your next adventure... ya know, like a sidekick?" The whole raaaaaaaaaaaaaaaainbow. As an artist, you come to appreciate them all. If i didn't have a story to work on constantly I think my brain would melt down. 1. Tell us a bit about yourself. My “tag” is mcr211196 but my real name is Matthew. I am an 18-year-old male from Cavite, Philippines (I now reside in Ontario, Canada and I’m currently homesick). My hobbies include playing the piano, guitar, harmonica, and percussion instruments; smashing shuttlecocks in badminton, collecting books, reading, writing stories, and riding my bike. 2. What got you into Hamtaro? How did you find HHP? It’s a tricky and long story. I think I’ve watch a few episodes while I was still in the Philippines. However, it wasn’t until I came here to Canada in 2008 that I became a “Ham-thusiast”. My sister received a GameBoy Advance SP from one of our friends and the game it contained turned out to be Hamtaro: Ham-Ham Heartbreak. When she received a DSi, she abandoned the older console, so I just took it and declared it as mine. I played the game and finished it. And then I played it again and again and... again. I lost interest in Hamtaro for short while, but after a series of events, I felt nostalgic and started playing Hamtaro online. Besides Ham-Ham Heartbreak, I’ve alos played Ham-Hams Unite, Rainbow Rescue, and Ham-Ham Games. Just last year (2014), I was searching for Tagalog-dubbed episodes of Hamtaro, which is so rare online, I only found stub clips. So, I just watch Hamtaro in English and in Japanese (with or without subtitles). Last year, I found Ham-Ham Paradise while trying to search for Hamtaro episodes online, and it was (and still is) one of the top sites that offer Hamtaro stuff. At first, I did not bother checking it. But my wanting to find out more about the “lost episodes” (these are, episodes beyond the “104 + 3½” released in English), I checked it out. They have amassed a great collection of episodes, music, fan-fictions, and fan arts. I’ve been watching episodes subbed by HHP’s subsidiary, Paradise Hamsubs. I’ve even listened to some of the songs they have in store. I have Facebook. 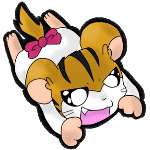 Nothing much to tell asides from: I post drawings and recordings of me singing Hamtaro songs on the Paradise Hamsubs page. I’m also a part of a church group called Arise International Ministries. I also have Yahoo! Mail. I like to listen and sing to Contemporary Christian Music (CCM) (Michael W. Smith, Chris Tomlin…), Gospel, Hymns, Rock, Country (Neil Young, John Denver…), Pop, and Military Marching Music. My favourite movies include The Land Before Time, The Rescuers, The Secret of NimH, The Jungle Book, The King and I, Valiant, The Little Polar Bear, and The Sound of Music. My favourite colour is red, the colour of passion and love. - I like brie cheese, blue cheese, sunflower seeds, fruits, and nuts. - My favourite Ham-Ham is Penelope and my favourite supporting character is Bo. - I'm a big joker. Unfortunately, almost no one understands my jokes. - Speaking in front of a crowd makes me feel uncomfortable. - I have a set of nicknames which includes "Bokyo", "Toks", "Toki", "Bokyokis", and "Kyo". "Put the cocktus in here!" The color of south florida water on a glass-flat sunny day. Alternatively, Sailfish blue and Dorado Green and blue. I farm alpacas in north florida. My name's Cloud Wilk, I'm 19, male, and hail from the US. Hobbies? Well... I'm an artist. So, I constantly art. Besides that, I enjoy video games and the company of furrier species. I started to fall out of Hamtaro towards upper-high school but then, after watching some episodes recently over the last winter break, found that it is still one of my favorite shows. Also... link in my sig to the major project I've been working on's- The D's- facebook page. 'Merica-chan!' Older than anyone else here. Enjoy sketching, writing, and fiber crafts. I used to watch Hamtaro on some TV network and enjoyed it so much. This was long ago. I had been wondering where to view episodes again. Then last week I began to whine, 'I want SUBTITLED Hamtaro!' Which led me here. Oh, and I still have my little Hamtaro plushie! Lots of them. Too many. I should be ashamed of myself! J-pop, as in lots of anime themes. And opera. This is a tough one. Can I get back to you? I once ate cookies for a living. Haha, well as far as I know, the oldest member was 28... now he should be 30 or something. And I am unashamed of loving Hamtaro!